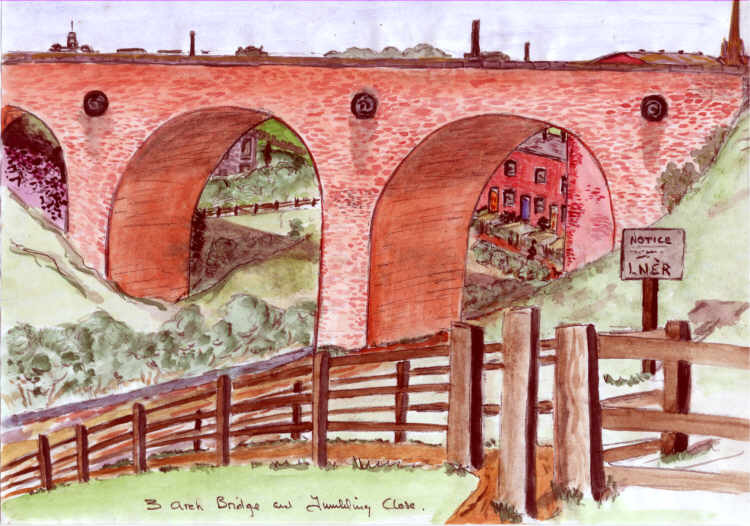 The three arch railway bridge shown in this picture was located in the Greatfield area of Ossett and was accessible by footpath from Flushdyke. The middle archway is where Towngate petrol station is now located. The bridge was demolished in the 1960s to make way for the Towngate hosuing development as was Tumbling Close, a row of terraced houses, which can be seen under the right-hand arch of the bridge. The railway bridge carried the LNER line from Ossett Station towards Wakefield Westgate.